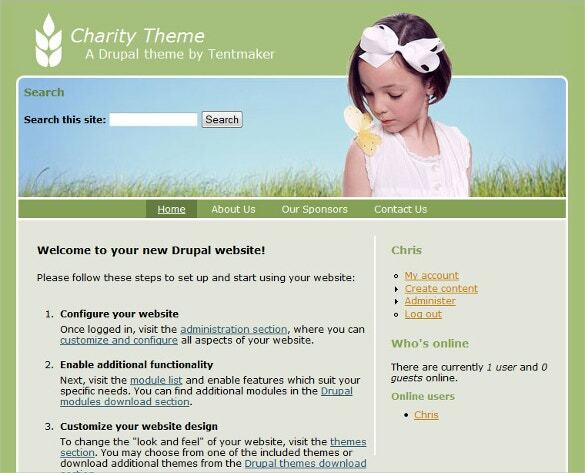 Charity Drupal themes are available, both for free at no cost, or in premium versions that must be bought. Using the Bootstrap technology, these themes can be used to create websites that utilize Bootstrap to be set up quickly and without much hassle, so that you can focus on the site’s content.The Search Engine Optimization or SEO is extremely good, allowing web search engines like Google or Yahoo! to index the site so that people making online searches can find your site easily.You may check Charity Joomla Themes. Use the best organizational features of the best top Drupal themes, such as the event planner or the calendar to set up particular dates for charitable events which can be used to gather funds to support whatever cause the site is dedicated to.Use image galleries and videos to display the problem that your site is fighting, such as a social evil or relief efforts to people suffering from a natural disaster.You may check Charity WordPress Themes. 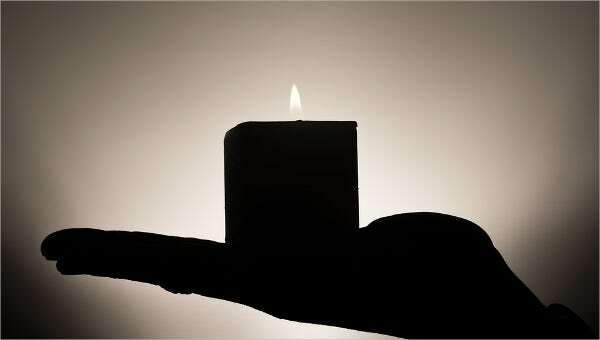 Open up your mind in the most professional way if you want to raise funds for children. 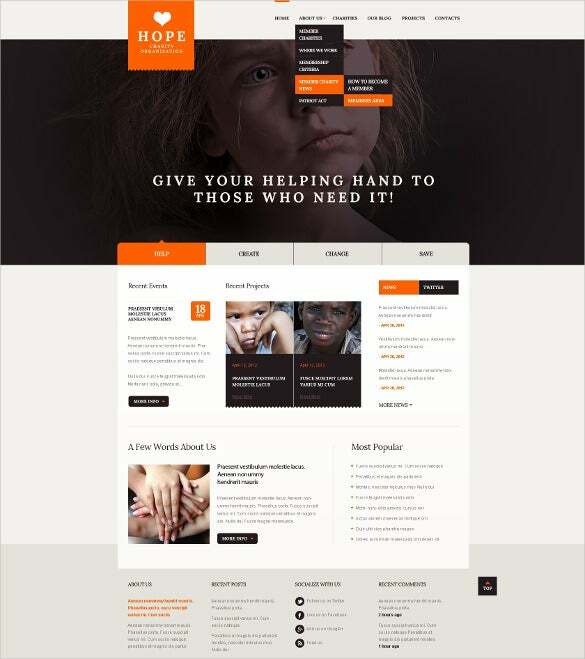 try the Child Charity Drupal Theme which has fully responsive theme, plenty of short codes, customisable fonts and colours, SEO optimisation, cross browser compatibility, CSS 3, HTML 5, JQuery coding. it can be used for any charitable organisation’s website or for political institutions as well. To create websites that are based for NGOs, charitable institutions, fundraising concerns etc., the Helpful Charity Drupal Theme is a reliable name. Based on the latest bootstrap framework technology, CSS and PHP coding along with HTML shortcodes make the usability simpler than the rest. Other features include social media integration, cross browser compatibility, flexslider, customisable fonts and colours. As the name suggests, these templates are designed in red tints. 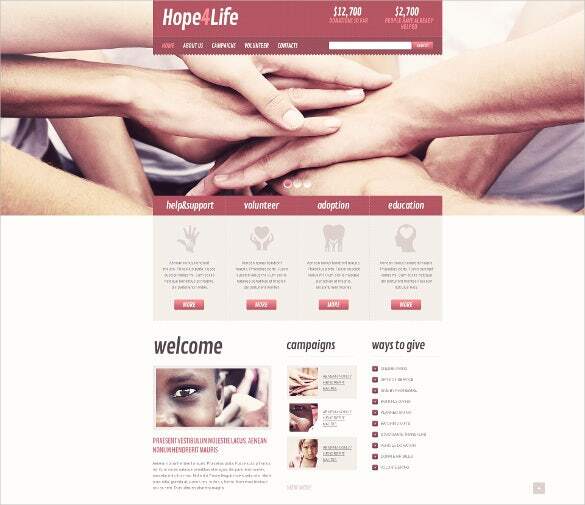 The Red charity Drupal Template helps to attain importance even among the casual browsers. Advanced coding like CSS 3, HTML 5, JQuery, Slideshow, WYSIWIG, SEO friendly features, extensive documentation, complete tech support etc. are some of the essential features of these templates. they can be used for any charitable organisation, NGos etc. 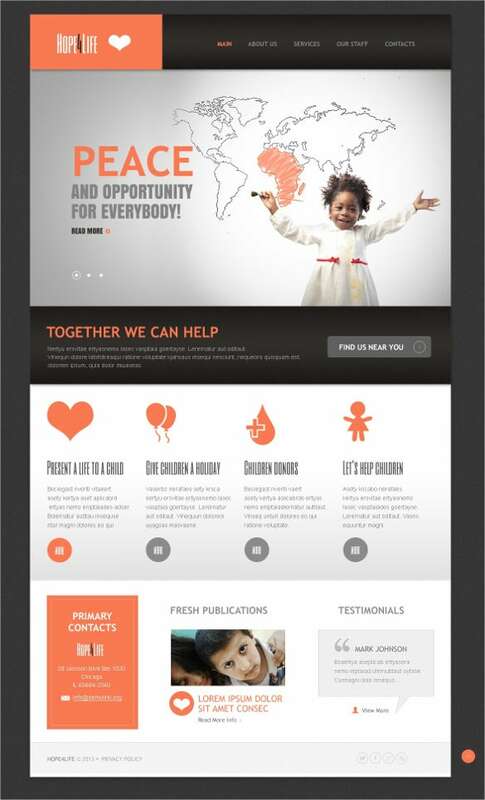 To serve the noble mission of charity, specially to the children, use Pink children Charity Drupal Template which comes with social media integration, fully responsive design with HTML plus JS animation, 7.x Drupal compatibility, etc. For any NGO, government aided educational institutions; fundraising campaigns etc. can use these templates to make their website give a premium look. 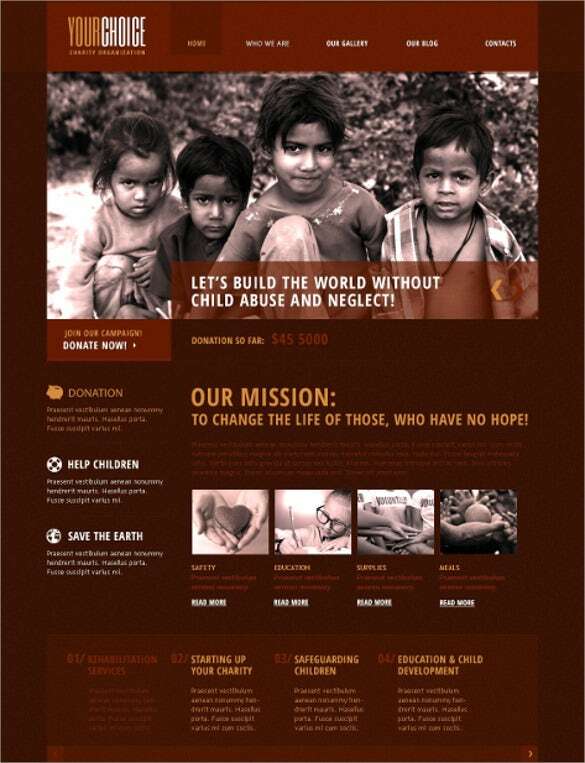 When you need to set up particular dates for charitable events, Simple Charity Drupal Template is one of the finest options. it is based on the latest bootstrap based framework with plenty of HTML shortcodes. 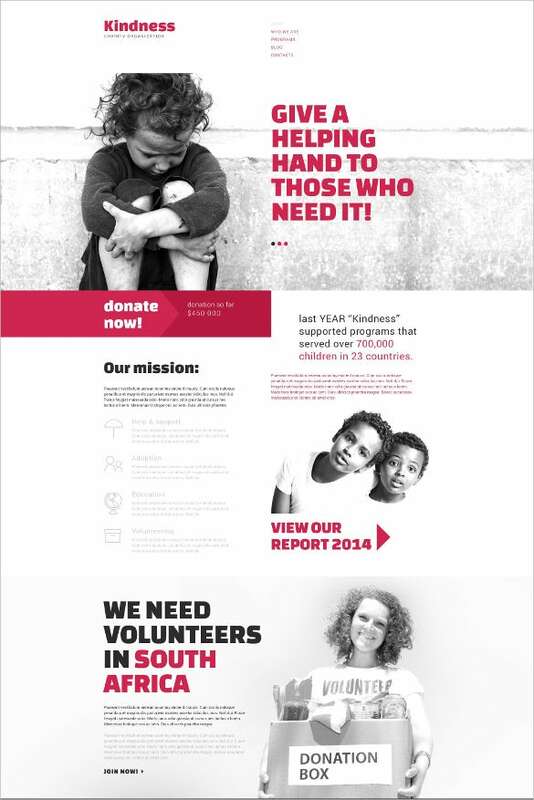 SEO friendly content, social media integration, retina ready images, sliders, CSS and PHP codes, extensive online and offline documentation, slider shows, true-to-life images make it ideal for any charitable organisation. With the best organizational features of Charity Organization Drupla Template, you can develop exclusive designs for NGOs, charitable organisations, fundraising institutions etc. It has awesome Google typography, colour schemes, HTML shortcodes, and sliders, compatible with Drupal 7.x and on all major browsers. HTML plus JS animation helps to include embedded audio or video clips if required. These themes use HTML shortcodes that are basically shortcuts. These are pre-configured codes you can simply execute to set up several of the site’s functions, saving you the need to code them yourself. Thus the owner of the site need not have specialized knowledge when it comes to coding.Use integrated social media features to connect with Facebook and Twitter to promote your cause there. Turn your site into an ecommerce site selling various goods, the proceeds of which will go to the charitable cause.You May also visit Best Responsive Drupal Themes.